Natural gas processing is very important industrial process. Major component of natural gas is methane, which is an increasingly utilized source of energy due to high thermal efficiency, while carbon dioxide act as an impurity and reduces its calorific value. 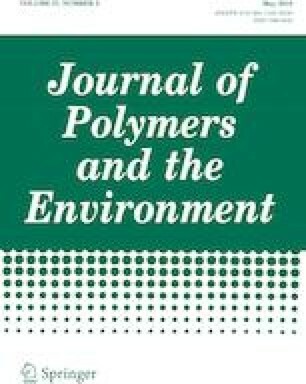 In this research work, effects of nickel ferrite (NiFe2O4) and titanium dioxide (TiO2) nanoparticles on the permeation properties of carbon dioxide (CO2) and methane (CH4) in cellulose acetate/polyethylene glycol (CA/PEG) membranes have been investigated. CA/PEG and CA/PEG based mixed matrix membranes (MMMs) are fabricated by using the solution casting method. Concentrations of TiO2 and NiFe2O4 nanoparticles membranes are varied from 0 to 20 and 0 to 2 wt% respectively. Scanning electron microscope, tensile testing analysis, X-ray diffraction and thermal gravimetric analysis are used to characterize the fabricated membranes. Permeation study of these membranes has shown that in 5 wt%TiO2 MMMs, the permeability of CO2 and CH4 is increased up to 5.75 and 3.75 times as compared to pure polymer. By adding 1.5 wt% NiFe2O4 in the polymer matrix, the permeability of CO2 and CH4 has improved up to 3.46 and 2.1 times as compared to pure polymer. It has been observed that the addition of inorganic nanoparticles in a polymer matrix helps to enhance the permeability of gases but it has little effect on CH4/CO2 selectivity. We acknowledge the support of School of Chemical and Materials Engineering (SCME), National University of Sciences and Technology (NUST). The authors also wish to acknowledge the Associate Professor Dr. Iftikhar Hussain Gul (NUST) for providing NiFe2O4 nanoparticles to conduct this research work.